The theme for the 18th Annual International Conference on Compulsive Hoarding and Cluttering was “Thinking Outside the Boxes: Innovation in Action”. We brought together peers, mental health experts, policy leaders, providers, researchers and community advocates to advance innovation and highlight the work and values of these diverse leaders. The conference was held on the Berkeley campus of the University of California March 22-23, 2018. We focused on quality of life, systems of care, innovations in research and recovery-oriented practices. The conference was a combination of keynotes and breakout sessions. The theme, “Thinking Outside the Boxes”, was addressed in two facilitated forums focused on: identifying problems, opportunities, ideal scenarios and identifying action steps to move the work forward. In day two, we brought together attendees and presenters to chart a road map with the goal of identifying new directions to expand our understanding of hoarding disorder. 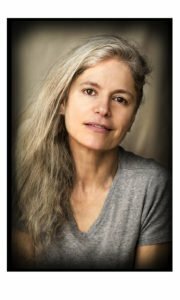 A long time actor regionally and internationally, on stage and screen, HILARY KACSER (Playwright and Performer) produced and performed in every Capital Fringe for seven years since the DC Festival’s 2006 inauguration, afterward successfully restaging all those productions elsewhere. The Capital Fringe debut of “DisordR, the Play,” won critical praise. “First-rate,” declared Washington City Paper Fringe & Purge. DC Theatre Scene called Hilary “stellar, gifted, hilarious,” the show “a healing and cathartic experience,...not only funny and entertaining, but can actually change our approach to our own ‘disorder,’ one bag at a time.” This success garnered Hilary’s third grant from the DC Commission on the Arts and Humanities, further developing the original solo show about Pakrat Patty the Hoarder. The full DC Arts grant production generated media coverage including Washington City Paper and a Woman Around Town profile: “Hoarding becomes a greater issue as people age. ‘Combat the stigmatization, because it’s much, much harder to address these issues if you are experiencing prejudice or discrimination.’” Calling “DisordR, the Play,” fictionalized autobiography, Hilary aims with her performance to facilitate further insight toward recovery. People who hoard lack several skills that are necessary to de-clutter their living environments effectively: sorting possessions, making decisions effectively regarding what to do with possessions, and following through. If you intend to coach people who hoard to de-clutter and organize their living environments, it is essential that you understand the skills in order to teach them. This is an experiential workshop. Participants will practice the skills with the items in their purses, wallets, and backpacks so please bring these to the workshop. The workshop leader does NOT expect participants to discard items but to learn and practice effective de-cluttering skills using their own possessions. >Resilience in its simplest form can be defined as the capacity to recover quickly from difficulties. Resilience is a core human attribute helping them survive and manage the challenges they face. However, generally individuals have a tendency to negate their ability to cope or manage situations and often attribute the resolution of their difficulties to the effort of others. Resilience as an attribute has the ability to help individuals enhance and maintain their mental wellbeing especially during challenging times. This interactive workshop is designed to help individuals to think outside the box to understand, recognize and enhance their resilience to help them deal with their hoarding issues. Surveys and questionnaires are important, standardized tools to gather certain types of information, but no technique is more effective to hear about someone’s experiences than asking them open-ended questions and listening to their responses. As part of the Help For Hoarding group treatment study, we asked adults who had recently completed either therapist-led group CBT or peer-facilitated group therapy for Hoarding Disorder about their experiences in the programs. We read through and analyzed responses from 179 participants. Through their words we learned about the things that helped or hindered their progress. Their quotes highlight aspects of personal change and growth that are not always captured on formal hoarding-symptom measurement tools. In this presentation we discuss these findings and the ways they may shape future interventions and supports for individuals struggling with hoarding-related issues. Meet the individuals with lived experience of collecting challenges who have created a national model of peer supports at the Mental Health Association of San Francisco's Center for Understanding Collecting Behaviors (CUCB). We will describe in detail the range of supports and how it was designed to support individuals along the Stages of Change continuum. We will also solicit audience members to speak of their own experiences with peer support programs. Over 10 years ago, one person in Wichita, KS made a difference by identifying persons who were having problems with hoarding and cluttering. The concern of one person became the concern of a gathering of individuals and agencies that had seen, but did not know how to helpfully respond to, this community issue. The Central Plains Area Agency on Aging called for a task force to study options, develop a working plan, and support the efforts of key community participants to address the health and safety of Wichita residents. The focus on coalition building and maintenance has made it possible to build partnerships and programs that assist with both the de-cluttering efforts and the mental health needs of those who struggle with this disorder. Instruction on coalition development and maintenance will be included in the workshop. Hoarding puts individuals at risk of losing their homes - tenants and homeowners alike. Hoarders suffer serious legal consequences of eviction, loss of subsidized housing, home condemnation, fines and civil court lawsuits. Through case studies and pertinent law, this session gives participants the tools needed to navigate the legal pitfalls hoarders face. While Cognitive Behavioral Therapy is the gold standard for the treatment of hoarding disorder, it is limited in its effectiveness. Compassion Focused for hoarding is a new treatment option currently being developed and tested empirically. The majority of the session will be spent on guided experiential exercises, including soothing rhythm breathing, recognizing different hoarding related emotions, imagery of compassion (wisdom, warmth, strength, and commitment to help). The session will end with discussion, feedback, and information about upcoming Compassion Focused Therapy groups in San Francisco. De-cluttering your life is hard. It is scary. And, it can be paralyzing. Letting go, even of the negative, is difficult. In addition, it can be difficult to track progress and to stay on track. What does journal writing have to do with hoarding behavior? The goal of this session is to give you another technique to help you move forward. Adult Protective Services (APS) receives reports of various types of abuse. Self-neglect is the one that is most frequently reported. Due to the deterioration of their environment, vulnerable adults can be at risk of eviction which can lead to a loss of housing, Eviction prevention is a priority service need that is commonly seen among APS clients that are referred with allegations of self-neglect. In response to these findings, we formed a High Risk Self-Neglect Unit that provides more intensive case management services. This presentation will focus on the structure, function and current outcomes data from the unit's inception in June 2017.
mindfulness can do...and what it cannot. Since 2015, the Mental Health Association of San Francisco has offered a drop-in support group for friends and family members of people who have hoarding or collecting behaviors. At this year's conference, we would like to offer attendees the opportunity to hear the voices of these group members, highlight the effectiveness and value of an educational and supportive group environment, and facilitate a conversation about the impact that hoarding and cluttering behaviors have on families and friendships. Research on the current treatment methods available indicates that our best treatments are only moderately effective at symptom reduction. New treatments modeled on this understanding may provide effective alternative or additional treatment strategies to CBT. One such new approach is the Next Step Program (NSP). NSP recognizes hoarding behavior as a maladaptive way of self-regulation in the face of underlying cognitive difficulties. NSP increases the individual’s awareness and productivity, compensates for cognitive inefficiencies and reduces shame, and creates a platform for positive change that is self-perpetuating and self-reinforcing. Researchers have been studying hoarding for over 20 years. Since its recent inclusion in DSM-5 as a distinct disorder, there has been growing interest in improving our understanding of the phenomenology of hoarding disorder as well as its treatment. It remains one of the most difficult clinical presentations to treat. Although there is a significant body of literature attempting to understand the disorder and its treatment, there is an urgent need to develop novel approaches to researching as well as treating hoarding. 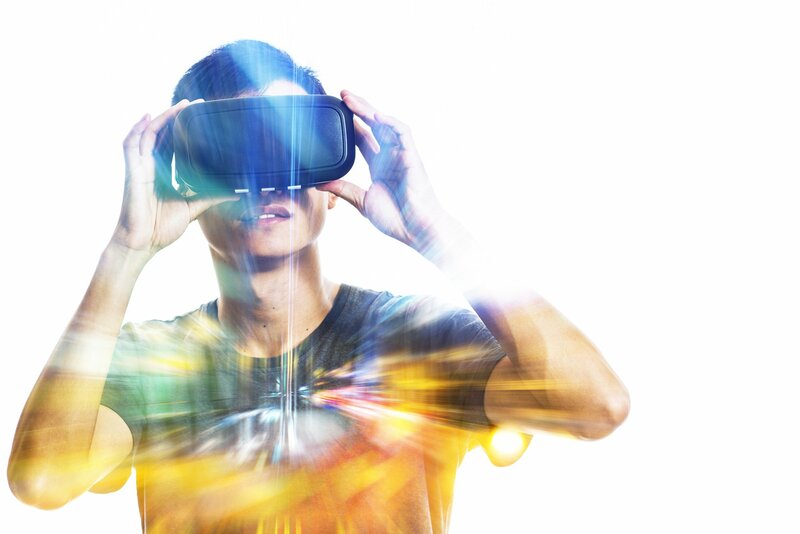 One such novel approach may be through the use of virtual reality (VR) technology. MHA is excited to have Ms. McCabe-Bennett present the results of her research completed at the Ryerson University in Toronto, Ontario. Her research includes three studies looking at perceived and actual information processing deficits, the role of emotions in hoarding symptoms and whether there are differences in preferences and stress reactivity to increasing levels of clutter. This opens an exciting new area in the use of VR technology that expands our understanding of the cognitive and emotional aspects of hoarding disorder.